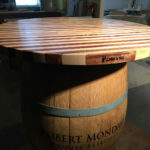 Made with maple and barn-salvaged mahogany. 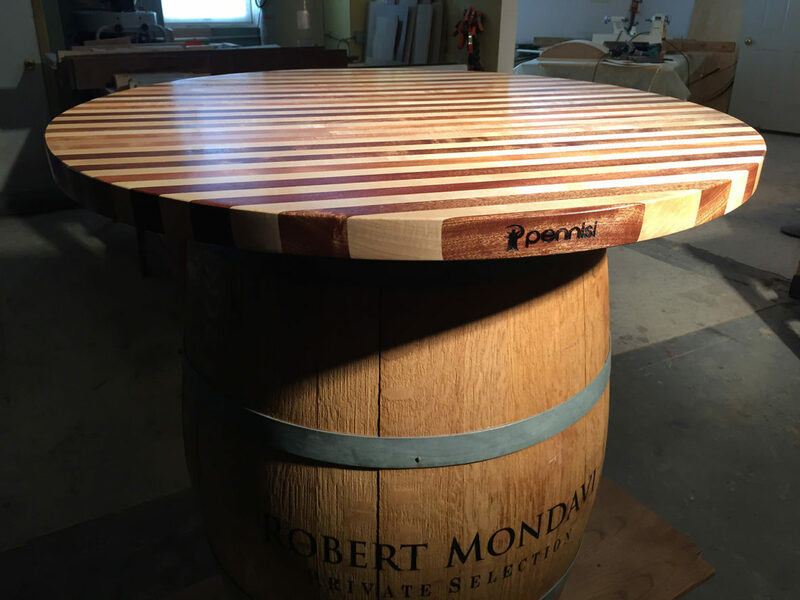 This piece is built using a genuine wine barrel and custom-fabricated top. 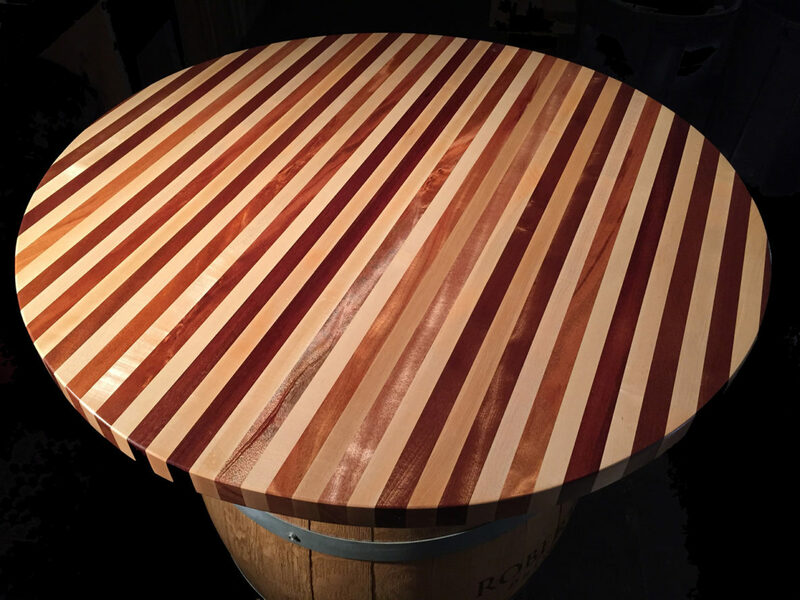 The contrast between the maple and mahogany stripes of the round, butcher block style top immediately demand your attention and makes this table perfect as a stand alone feature table for kitchen, dining room or bar area. 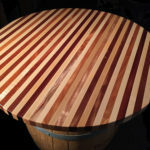 Available in sets and in both 36” and 40” diameter. Visit the Lakehouse Pub in Skaneateles, NY to sit at one (of three) yourself!